Emergency hospitals are not like your family veterinarian – our focus is on treating sick or injured pets, whereas your primary veterinarian focuses on wellness care. As a result, we see a lot of very sick or critically injured animals, and part of our responsibility is helping pet owners make end of life decisions for their pets and, when necessary, performing euthanasia. Your pet is taken to the treatment room, and an IV catheter is placed. This is necessary, as the medications used in the procedure must go directly into a vein. Placing this catheter greatly reduces the stress for you and your pet. While this is happening, the paperwork is done. This includes a form to give us permission to do this for you, as well as indicating final arrangements (discussed below), and payment is also processed at this time. This way, once your pet is returned to the consultation room, they are the only focus, and when you decide you are ready to leave, you leave without stopping at a reception desk. This is an emotional time, and we want to make this as easy as possible for you. When your pet is returned to the consultation, you can spend as much time visiting as you deem appropriate. A call buzzer is provided for you to let us know when you are ready for the next step. A veterinarian will answer any final questions, and then perform the euthanasia. This is actually a two-step process, starting with propofol, an anesthetic induction agent commonly used to prepare patients (human and animal) for surgery. This deeply relaxes your pet, and makes the process much easier for both you and your pet. At this point, if you decide you no longer wish to be present, you have the option to step out. The second medication used is also an anesthetic induction agent, at a very high dose. The entire process generally takes less than 2 minutes. After we verify that your pet is deceased, we will leave you to say your final goodbyes. When you are ready, you walk out the door. We will handle the rest for you. Please understand that you do not have to be present for euthanasia. For some people, it is important to be there. Other pet owners do not want this to be their last image of a beloved pet, and do not wish to be present. This is a deeply personal decision, and may be different for different members of your family. We are not here to judge you – we are here to help you through this difficult time. The Pet Loss Center handles our cremation services for us. We have visited their facility east of McKinney, and have full faith in their process. They are organized, and their tracking system allows us to monitor your pet through their process. Rest assured that they will be respectful, and take proper care of your pet. There are two basic options when it comes to cremation – “communal” and “private.” With communal cremation, your pet is cremated with other pets, and these ashes are buried at the crematorium. In a private cremation, your pet is cremated by themselves, and their ashes are returned to you (through us). These ashes are returned in a nice cherry wood box (or another urn of your choice), together with a clay pawprint memorial. The decisions around euthanasia are deeply personal, and these decisions may be the most important decisions you make for your pet. Our Chief of Staff, Dr. Michael LoSasso, feels so strongly about the need for veterinarians to guide pet owners through this process that he actually wrote a book on the subject in 2012, available at Amazon (but can also be downloaded at no charge). Options that pet owners should recognize are hospice care and home euthanasia. While we are not able to provide these services within the scope of our practice, there is a local veterinarian named Fiona McCord that feels as strongly about euthanasia as Dr. LoSasso. 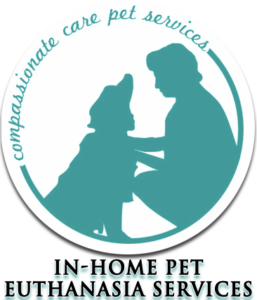 Through her company, Compassionate Care Pet Services, Dr. McCord is able to offer hospice care as well as euthanasia in the comfort of your home. Grief does not recognize species boundaries, loss is loss, and many owners grieve for their pets as family members. In addition to her home euthanasia services, Dr. McCord also runs a Pet Loss Support Group. For more information, please see the Compassionate Care Pet Services website, their Facebook page, or email Dr. McCord. Dr. McCord is not affiliated with Frisco Emergency Pet Care, but she does an excellent job providing a valuable service to our community.